When members of the Sustainability Committee for the 2016 Alberta Summer Games began planning, they set a goal to make the games the greenest in history. Environmental issues are becoming a bigger priority across all types of businesses and organizations, and event planners are taking note. Among the top eco-friendly trends: finding reusable décor, eliminating paper waste, handing out green giveaways and using locally sourced food. At the 2016 Alberta Summer Games, organizers wanted to eliminate disposable water bottles. Attendees received a reusable, custom water bottle and refilling stations were provided. Event planners estimated they kept 4,500 disposable water bottles out of the landfill. If you’re looking to go green with your next event, we have some helpful tips. Learn the keys to hosting successful events that are kind to the planet, gentle on your budget and sure to impress your guests. 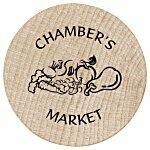 Choose vendors who are open to green solutions. Choose easy-to-access locations that are within walking distance or that have easy access to public transportation. Choose a menu that emphasizes locally sourced food. Check if leftovers can be donated to an area shelter, turned into compost or used for fuel. Make an effort to go paperless. Use online registration, promote events on social media and ask speakers to upload material online rather than printing it for attendees. Even your display elements can be environmentally friendly. Consider some greener options, like the Deluxe Curved Floor Display – 10’ – Mural Center, made with an eco-friendly fabric. 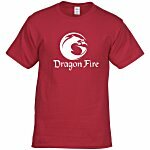 It’s made from 100 percent post-consumer recycled plastic PET bottles. 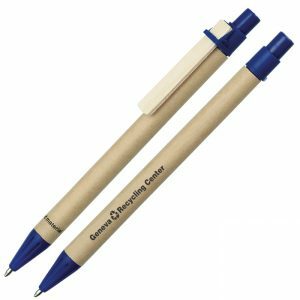 Hosting a green event doesn’t mean you have to sacrifice on quality promotional products. The increasing interest in green giveaways means there are more options than ever before. There are even specialty items that can encourage your guests to follow green practices long after your event has ended. 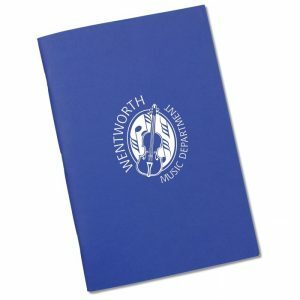 For conferences and meetings, consider the Eco Meeting Notebook, with paper made from 100 percent recycled materials and organic-based inks. 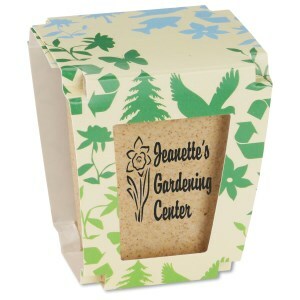 Select custom tradeshow giveaways like the Promo Planter – Earth Friendly, made from rice hull and cornhusks. All your guests need to do is add water to grow some green. Pens are always a favorite, and the ECOL Pen shows off your planet-friendly aspirations. It has a recycled paper barrel and a recycled wood clip. 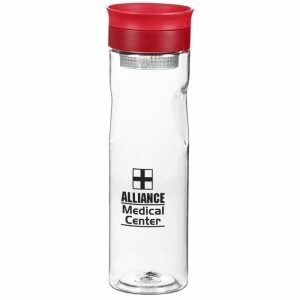 Urge attendees to reduce waste by giving them a reusable water bottle that’s so stylish they’ll want to use it long after your event ends. Consider serving ice water and various flavorings—like fruit slices or cucumbers—at your event. 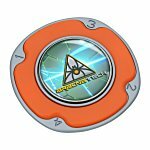 The BPA-Free Infusion Sport Bottle has a strainer so creating unique, infused beverages is easy! Participants will snap up these eco-friendly totes, perfect for carrying their eco-friendly giveaways. 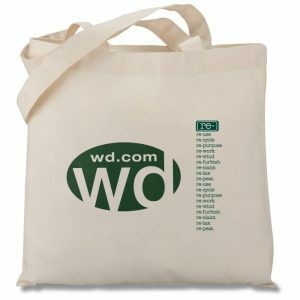 The Eco Design Organic Cotton Tote is made of 100 percent organic cotton, and is something your attendees will surely reuse for years to come. Making recycling bins available to your guests is a must these days. Beyond recycling, composting is gaining traction. By switching to compostable cups for your beverage service, you can decrease your event’s carbon footprint. 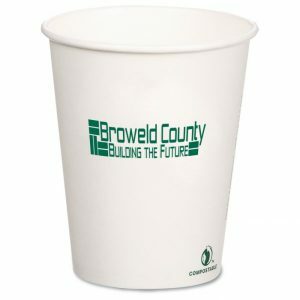 These custom Compostable Solid Cups will compost in just 50 days in a commercial composting system. 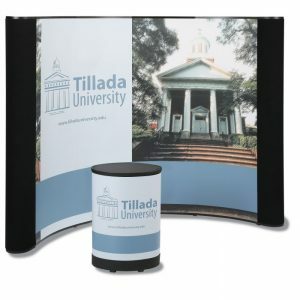 They provide a great alternative for outdoor festivals, conferences, tradeshows and meetings. 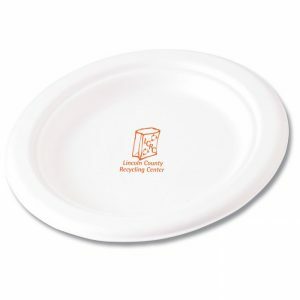 When it’s meal or snack time, you may want to check out these Compostable Paper Plates, made from 100 percent bagasse, a pulp made from sugarcane stalks. Increased interest in green events and green giveaways means there is no limit on how environmentally conscious you make your event. With these simple tips, you can host an event that’s not only memorable and affordable, but eco-friendly, as well.